I was really impressed by Brandon Nicholas' Desert Son (review) when I saw it a few years ago and since the release of that little drama, Nicholas has been working on another, much more ambitious project. 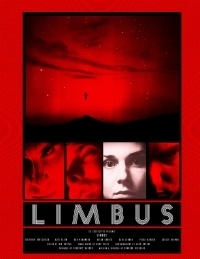 Limbus is a thriller set in the afterlife. Yes, the afterlife. It follows four members of a cult who take part in a mass suicide and now find themselves stuck in purgatory. Earlier this year the production team took to Kickstarter to raise funds towards the completion of the film successfully raising more than $10,000 and it looks like the money is being put to great use. A new trailer for Limbus has been released at it features some gorgeous visuals and a purgatory that has a space ship type of design while retaining a dream-like quality. It's an interesting mix of visuals which in combination with the story and the eerie score from Tyler Strickland, has captured my attention. I'm excited to see what Nicholas has in store. Both trailers for the film are worth checking out. With principal photography complete and a score locked, you can expect to see this one hitting the festival circuit in early 2013. Is this film going to become available on DVD? There's no sign of it yet.